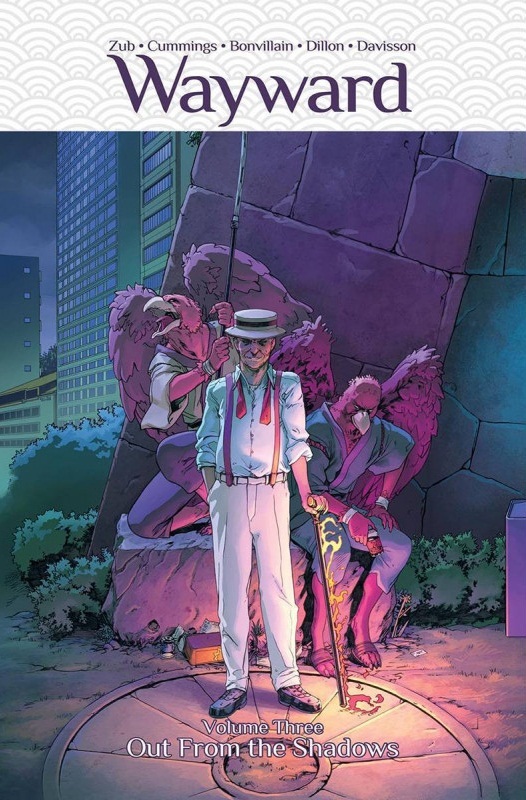 Over two previous volumes Jim Zub and Steve Cummings introduced a group of teenagers in modern day Japan who’ve been connected to ancient forces that enable them to transform themselves and control the resulting powers. The ending of Ties That Bind supplied the final necessity of awareness. However, as it was noted for the teenage Spider-Man all those years ago “with great power comes great responsibility” and announcing yourselves as Japan’s new gods in footage that’s gone viral has some consequences. Also relevant is the pronouncement that “Where the young gods awaken there is only chaos”. That’s from the guiding hand of some other elder powers, the Yokai, as seen on Cummings’ sample art. It’s interesting that Zub hasn’t restricted his story by confining the realities to the cast. The world has been changed, and we see the authorities in Japan responding to that, although they’re not quite sure what they’re dealing with, and feeding into the times, the easiest label to apply is ‘domestic terrorism’. What they’re dealing with is all out war between the entrenched elder legends who’ve remained hidden for centuries and what they view as usurpers who need to be taught a lesson. Cleverly, while the youngsters have generally now become confident with their abilities, they are actually susceptible, and not all those with powers have found their way to Rori Lane and her allies. Segawa can connect with machinery, and he’s associated with another ancient force, one more than willing to use the ways of the modern world to preserve the old. As has already been established, Cummings is a superb artist, great with the figurative neon nature of modern day Japan, great with the old legends and great with some real horrors introduced in Out From the Shadows, the title very appropriate. He has a subtle touch when it’s required for emotional moments, and he can throw out the madness as well. 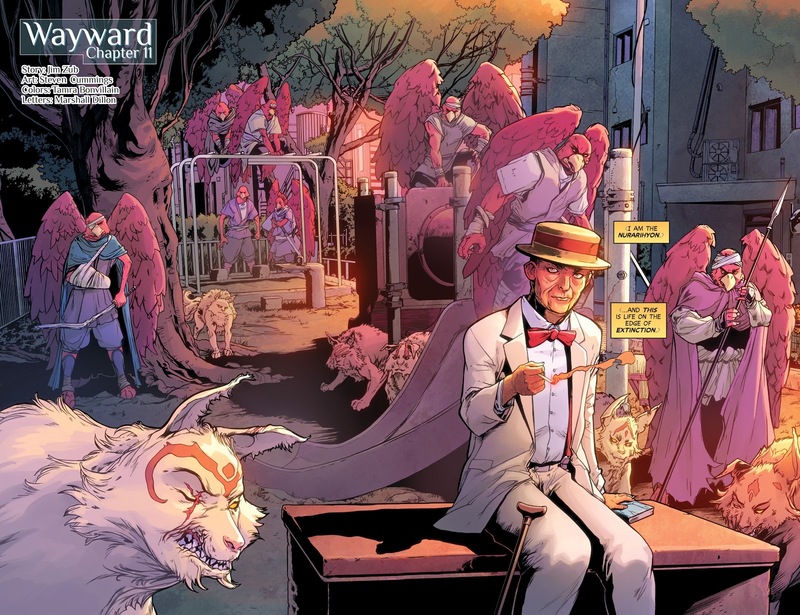 Wayward is consistently a fantastic looking series. From a small beginning, Zub and Cummings have consistently built upward, and Out From the Shadows is where everything erupts. There are two major conflicts, new characters, manipulation, and by the end Rori Lane has discovered something about her heritage, and she’s in a very different place. You’ll want to read Threads and Portents. 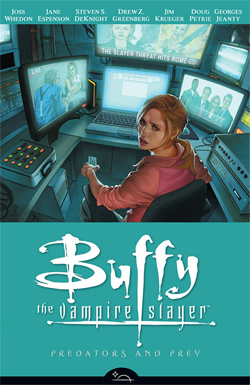 Alternatively both volumes are combined in hardback as Wayward Book Two.